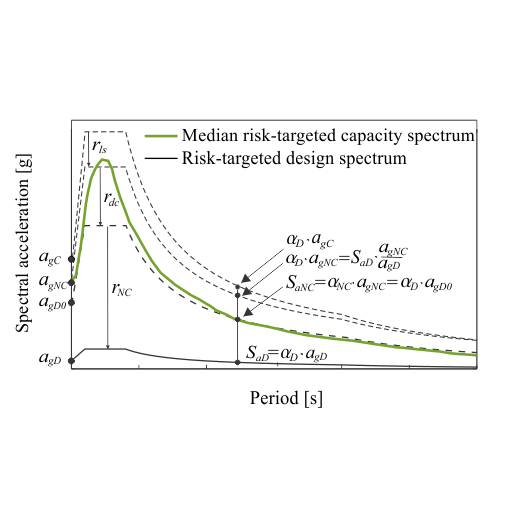 There are a number of ways in which risk-based performance objectives could be incorporated in the next generation of structural codes, but it does not make sense to propose that structures be designed for a uniform risk since stakeholders or societies have different perceptions of what an acceptable risk is. Some of these issues are investigated in the project. The target collapse risk can be used as a performance objective associated with the fundamental no-collapse requirement, whereas the target expected losses for a given period of time can be used to control the damage which might occur in the case of an earthquake. 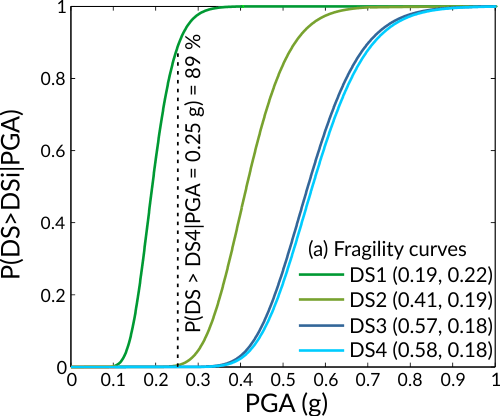 The conditional probability of exceeding a damage state given intensity (fragility curves, Fig. a). The damage states of a building imply the level of damage attained: minor damage (DS1), medium damage (DS2), heavy damage (DS3), and collapse of the building (DS4). By considering the probability of occurrence of a given intensity, it is possible to estimate the probability of exceeding a damage state over a certain time period (e.g. 50 years). 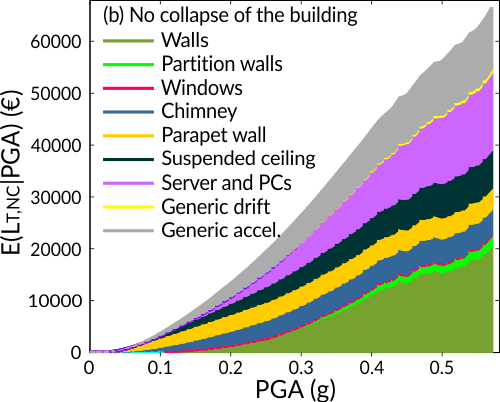 The expected economic losses given seismic intensity without consideration of the building’s collapse (Fig. 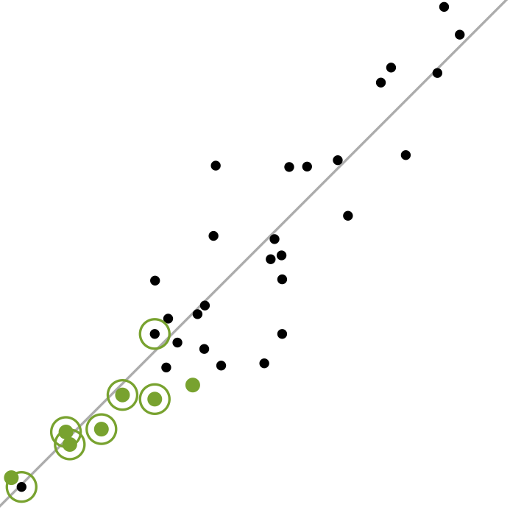 b), with the deaggregation of losses by various components. Note that non-structural components contributed more to the total loss than the structural components. 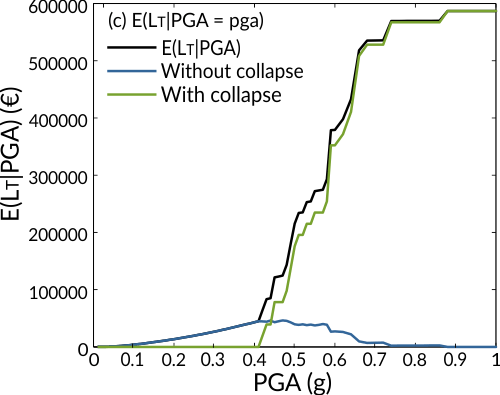 The expected total losses given seismic intensity with consideration of the buildinges collapse (Fig. c). The replacement cost of the building is very high, so at higher intensities, where the probability of collapse of the building is not negligible, the replacement cost dominates the expected losses. The expected annual loss can be obtained by integrating the expected total losses at a given seismic intensity over all possible seismic intensities, and their corresponding probabilities of occurrence. 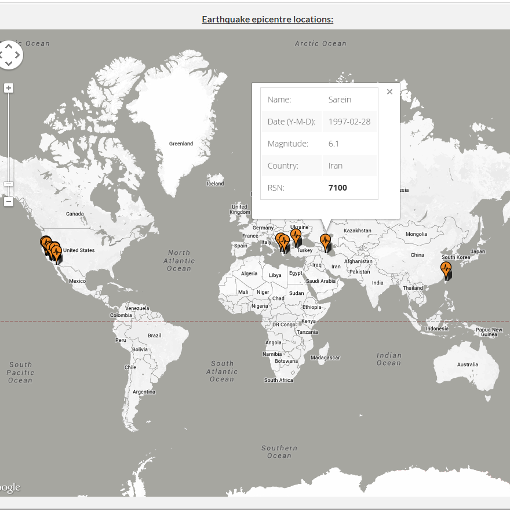 This performance measure is important, since it contains a lot of information about the seismic hazard, the response of the building, and the expected losses, in just one number. It can represent a basis for the insurance premiums or the expected annual revenues, and used in the decision process for the retrofitting or strengthening of the building, as well as for cost benefit analysis in financial planning. 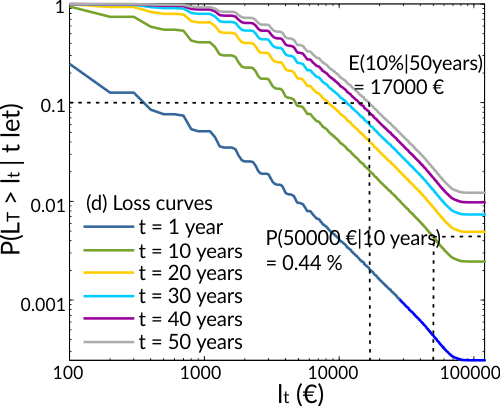 The probability that losses will exceed a certain value over a specified time period (loss curves, Fig. d). The expected loss, which occurs over a certain time period with a certain probability of exceedance can also be estimated.